Banana chips is growing popular. 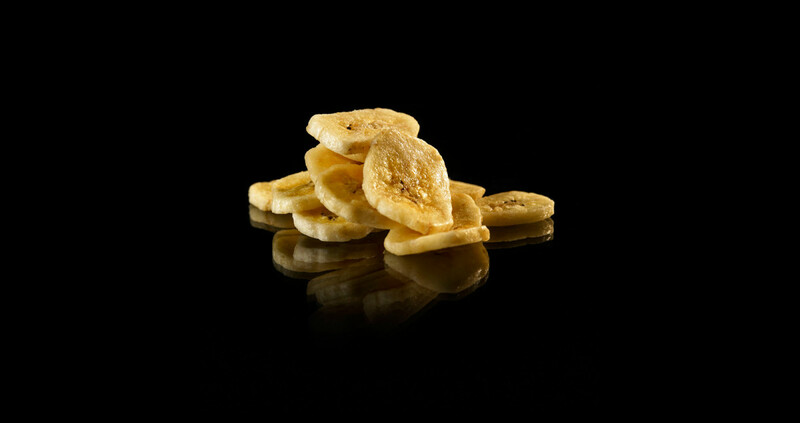 Fried banana chips are today an appreciated snack also in Europe and the US. Rosenqvists supplies the complete line from the sliced banana to the packing line. We also supply dipping units for sugar coated banana chips. The Multi -Zone frying system has unique features for the banana chips with patented slice separation system, continuous oil filtration, adjustable temperature profile along the length of the fryer. For Cassava chips we developed a special fryer. As cassava slices both float and sink, the frying system has to have special features to address this challenge. This unique fryer has both top and bottom belts. The Multi-Zone fryer concept assures that the slices are fried to the desired texture, crispiness and colour.